In order to confirm a specific wedding day, our brides and grooms also need to finalize a resort reservation at the same time. Wedding dates cannot be guaranteed unless a resort reservation has been made. There are daily rates and also weekly package rates. We also offer all-inclusive packages, the most popular is our TOTAL ROMANCE package. 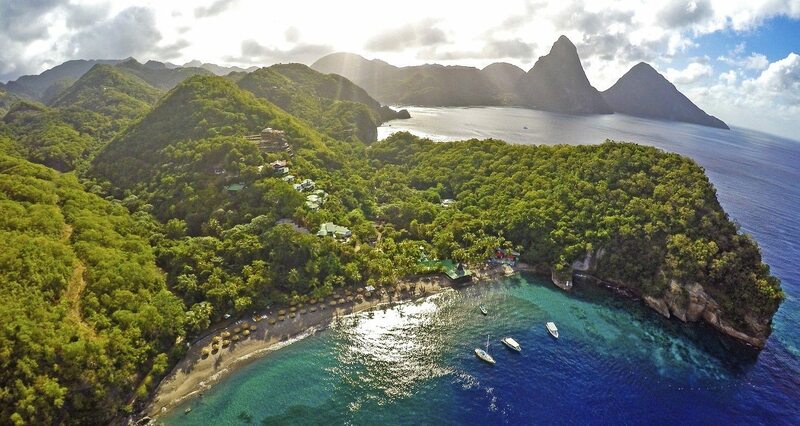 Please visit Anse Chastanet or Jade Mountain for complete pricing and available packages and in particular, please look at our Promotions for Anse Chastanet and Jade Mountain. Make all wedding group requests via email weddings@ansechastanet.com.